School's out for summer, but detention is IN. 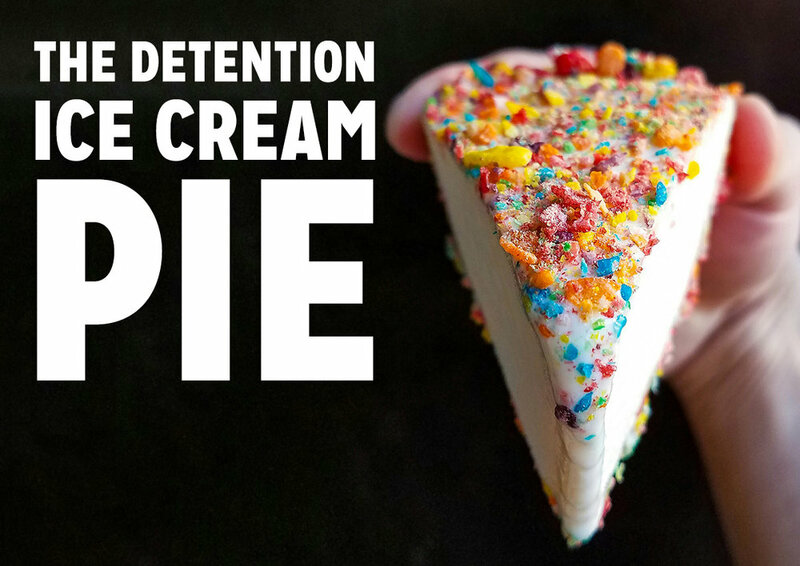 Straight from NYC's experimental ice cream shop, Ice & Vice has created two new ice cream concoctions in pie form: the Detention Pie (malted vanilla ice cream dusted with Fruity Pebbles on a marshmallow Fruity Pebbles crust) and the Milk Money Pie (toasted milk ice cream drizzled with chocolate ganache on a toasted graham crust). Handcrafting customized batches of ice cream, Ice & Vice has earned major street cred and a cult following on Instagram for their edgy flavors and technicolored treats on NYC's Lower East Side—ultimately being named the Lower East Side's best frozen treat by Thrillist. Now you can try their latest flavors *by the slice* for the summer!